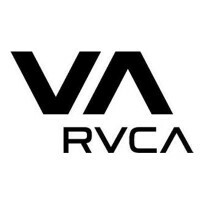 RVCA is a California based clothing company that is based in Costa Mesa, California. RVCA is heavily inspired by the skateboard and surfing culture, and they market their clothes to those who are interested in these subcultures. This company is currently owned by Billabong International Limited, an Australian based company. For more information on your RVCA application, follow the link below. RVCA was founded by Pat Tenore. He teamed together with surfer Conan Hayes to help created clothing lines that appealed to the subcultures that inspired them. They aim to combine fashion, art, music, and modern lifestyles to create a line as unique as the individuals they are marketing to. The company was purchased by Billabong International Limited in July of 2010. RVCA believes that companies have an obligation to be socially responsible. They encourage their employees to help give back to their local communities, and puts their money where their mouth is to do the same. They team together with local galleries to encourage arts and graffiti street art in safe environment. You can find their products in skate and surf shops. RVCA is looking for employees that have the same passions as they do. They want people who want to keep the genuine nature of their associate subcultures intact. They want employees that are knowledgeable about their products and can provide amazing customer service. This is a company that takes providing a positive customer experience very seriously. As RVCA is only a clothing line that sells their products to like-minded department stores, there are only corporate office positions available for potential job seekers. Any retail positions available are for retailers that sell their products, like Pac Sun, Tilly’s, and Zumiez. They also have their own direct online retailer. Otherwise, all positions are out of their Costa Mesa, California office. The corporate office has many different types of positions available for job seekers of all skills and talents. They have both entry-level type positions, where a person can move up the ranks of the company. They also have higher level positions that have more requirements to gain employment. Some positions include human resources, digital marketing, and key account manager. The different positions at this company have different requirements to gain employment. Entry-level positions may only require a high school diploma or equivalent and a few years of experience. Higher level positions may require a college degree and several years of experience. How old do you have to be to work at RVCA? The minimum age of employment is 18 years of age. RVCA offers competitive benefits for their industry, along with a laid-back work environment. Employee eligibility for benefits can depend on hours worked weekly and job title. Some benefits may include health insurance, dental and vision plans. They may also receive employee discounts, 401(k) plans, and paid time off. There are some additional benefits that eligible employees may receive. The hours of operation for their distributing retail locations can vary depending on location, store and holiday hours. The corporate office is open from Monday through Friday from 8:00am to 5:00pm; however some holidays may cause closures. During the busy holiday seasons, these holiday hours may be extended to accommodate holiday shoppers. Key Account Manager- A key account manager is responsible for managing sales for the department stores they are responsible for supply products for. They will promote their lines to retail department stores to encourage them to purchase items for their stores. They will also build relationships with these stores to keep their business relationship strong and mutually beneficial. A key account manager may earn around $70,000 a year. Merchandising & Design- A member of the merchandising & design staff is responsible for assisting the design team in presentation to help increase marketing. They will proof catalogs, as well as assist in product shoots. They are also responsible for streamlining designs, as well as organizing lines for sales meetings. A merchandising & design staff member may earn around $40,000 a year. Digital Marketing- A person in digital marketing is responsible for planning ecommerce and digital marketing campaigns. They will use data analysis in order to plan and execute successful campaigns. They must be able to maintain and utilize digital engagement, often times using social media as marketing tools. A digital marketing staffer may earn around $50,000 a year. Customer Service Associate- A customer service associate is responsible for handling customer service over the phone or via their website’s live chat feature or email. The associate will assist customers in ordering items if they are having difficulties or assisting in sizing for customers. They will also handle customer transactions, including returns and exchanges and must be aware of all relative policies. The customer service associate may earn around $9 per hour. These are some questions that you may be asked during your job interview at RVCA. Why do you want to work at RVCA? This question may require some research prior to your interview. The interviewer is looking to see if you understand what this company stands for. Describe which values and passions you believe you share with this company and why that makes you a good fit to work here. What do you appreciate most about fashion and art? This is a unique company that finds inspirations for their styles from both the world of skating and surfing as well as the world of art, specifically street art. Discuss what your favorite aspects of both of these fields, and why they combine to create such a unique style. Do you enjoy surfing or skateboarding? The interviewer is looking to see what you know about the cultures that this brand represents. Discuss if you enjoy either or both of these activities and what your favorite part of the culture is. Why should we choose you over the other applicants? The interviewer is giving you the chance to sell yourself to this company. Take this opportunity to mention your strengths and why you feel the company would best benefit from them. Would you consider yourself a people person? The interviewer wants to see how well you work with others and to determine if you can provide an amazing customer service experience for their customers. Talk about your interpersonal strengths, and how well you deal with others. Wondering how to apply at RVCA? You can apply for a RVCA job by visiting RVCA jobs online. You may also fill out an application form at the corporate office. There are no printable applications online. There are no downloadable applications online. The easiest way to apply here is to apply directly online. The company website has the job descriptions and responsibilities listed for their available positions so that potential job seekers to find positions that are a match for their skills and talents. You should fill out the application completely and according to the provided instructions. Remember to submit an updated resume along with your application, as this will help provide a clearer view of your experience. After applying at this company, you should hear back within a reasonable amount of time. If not, you are able to call up the company to see if they are still hiring for that position and to check the status of your application. They may also inform you of when interviews are set to begin. You may consider preparing for your interview beforehand. You can do this by asking yourself potential interview questions and answering them aloud. This will help ease your nerves, which will help you be more confident and articulate during your interview. You should remember to dress in a professional manner for your interview. This will help increase your chances of getting the job. Vera Wang: For career opportunities, fill out the Vera Wang online application. Levi’s: See our guide for careers at Levi’s. New York & Company: For career opportunities, fill out the New York & Company online application. Zara: Zara offers opportunities for both, beginners and experienced roles. Abercrombie & Fitch: See our guide for careers at Abercrombie & Fitch.